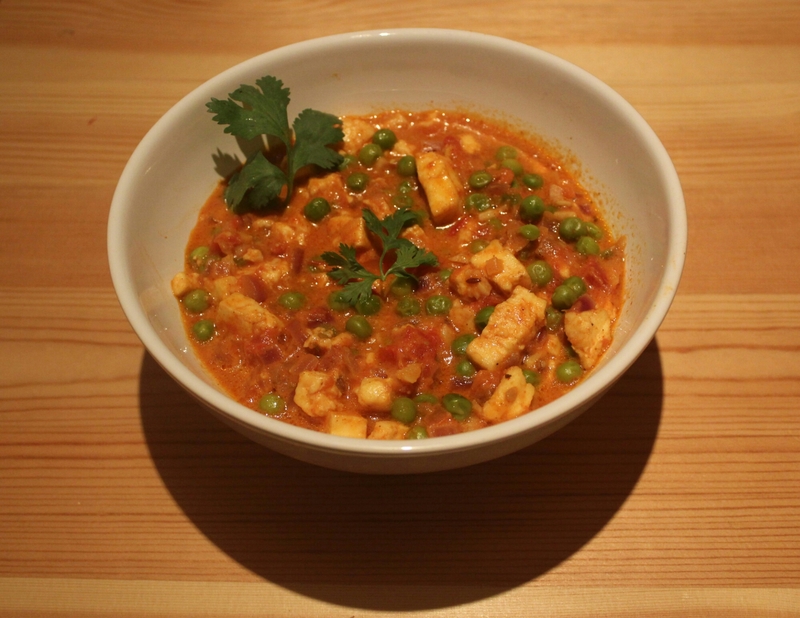 Paneer Mutter – Eat, Click, Travel and Repeat! Paneer (cottage cheese) is loved by Indians and used in many dishes with extremely tasty gravy. Eatimg a paneer gravy with naan is perfect for a dinner parties! First take oil in frying pan. Add garlic,ginger,green chilies,coriander seeds and bay leaf. Saute these contents for few minutes, at least till garlic and ginger get brown. Add chopped onions and saute it for few more minutes. Wait till onions get soft. Now add tomato sauce and cut tomatoes to it. Fry this mixture till it leaves oil. Add milk, kitchen king masala powder, shahi paneer masala powder, red chili powder, cumin powder in the mixture.Fry this mixture further for few minutes. Add butter, salt,frozen peas and paneer. Boil the mixture for few minutes. Garnish with coriander leaves before serving.